Apple's Jade successfully defended her crown with an impressive display in the Lismullen Hurdle at Navan. Gordon Elliott's star mare used this Grade Two contest as a springboard to winning her second Hatton's Grace Hurdle at Fairyhouse and also the Christmas Hurdle at Leopardstown last season. She could finish only third behind Benie Des Dieux at Cheltenham and Punchestown in the spring, but she was the even-money favourite to make a successful reappearance once again and did so in fine style under Jack Kennedy. Apple's Jade was sent straight to the lead and led fellow Gigginstown House Stud-owned runners Dortmund Park and Identity Thief into the straight. The six-year-old was well in command jumping the second flight from the finish and comfortably pulled 11 lengths clear. "She was good there today and we're delighted," said Elliott. "She had to do the donkey work and she'll even come on a little bit from the run, but we're delighted - it was a great run." 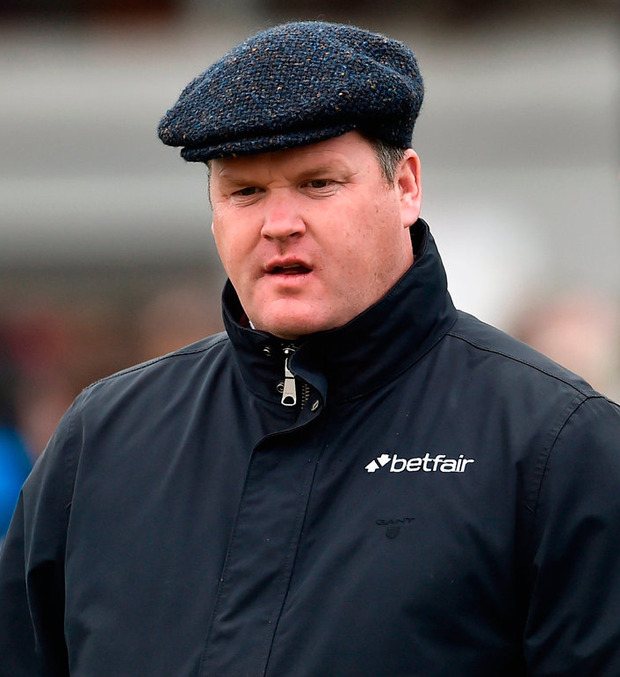 He added: "We'll go to Fairyhouse now for the Hatton's Grace. I was very happy and she was a different mare than she was on her last two runs. She showed a lot of her old spark. " Jessica Harrington's 2014 Champion Hurdle hero Jezki came through to fill the runner-up spot, but the race was tinged with sadness as Henry de Bromhead's dual Grade One winner Identity Thief suffered a fatal injury jumping the second last. In the next race of the afternoon, Ballyoisin outclassed his rivals in the Fortria Chase. Having followed up successive wins over fences at Killarney and Punchestown with victory in a valuable handicap hurdle at Listowel in September, Enda Bolger's stable star was a prohibitively-priced 8/13 favourite returning to the larger obstacles for this Grade Two assignment. Barry Geraghty sent the JP McManus-owned seven-year-old straight to the lead and set a fierce pace from the outset. He had the race in safe keeping around the home turn barring any accidents and safely negotiated the remaining obstacles to seal a dominant and impressive 23-length success. Ordinary World was second, six lengths ahead of Listen Dear in third. Rock The World was a distant last of four runners. Bolger said: "We're delighted with him. He seems to be in good form all the time at home. We'll follow the ground and follow the money." He added: "Leopardstown could be his track with all the fences as he loves the jumping. He's a dream of a horse."